An unexpected and inexplicable death of a Welwyn Garden City teenage “gentle giant” has inspired his family to start a charity which will save lives. 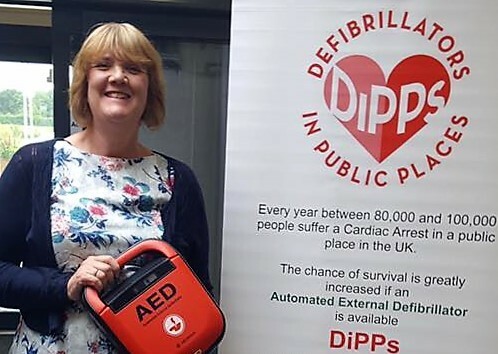 Arline and David Hursey set up "Defibrillators in Public Places" (DiPPs) after their son James died from the unexplained heart problem when he was just 18 years-old. They have now launched the organisation in his honour, after realising how few buildings like schools had life-saving defibrillators in them. On Friday, July 1, DiPPs placed its first two life-saving defibrillators in Sir Frederic Osborn School and the SFO Sports Centre. Arline continued: "We have placed two defibrillators in Sir Frederic Osborn School - and with the football through the sports centre and the school itself, we feel that is a good start. If we can save one person, we will have done this for a good cause. It would be amazing." On Thursday, September 10, 2015, James sent a text to his mum in the morning saying he had forgotten his keys and went up to bed as he had been working late at his apprentice job for British Premium Meats. At 3.30pm Arline went upstairs to wake him up for his 6pm start at work and discovered that he had tragically died.